Think Digital creates immersive experiences to engage, educate and inspire. Using immersive technologies like Virtual Reality (VR) and Augmented Reality we develop and deliver experiences to a range of audiences and clients, from school students, to librarians, to industry groups and producers. Think Digital developed FarmVR as an immersive education platform for the agriculture industry. It is designed to educate people on where their food comes from and encourage them to consider a career pathway in agriculture. 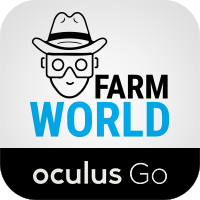 FarmVR has evolved to include a series of mobile apps and VR activations at events and conferences. 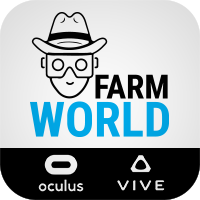 FarmVR World is our latest app that delivers a real time Virtual Reality (VR) platform for education. VR makes it possible to provide a range of immersive training and education experiences that are either difficult or too expensive to replicate in a traditional classroom setting. Immersive content places the learner into the situation, which provides greater comprehension and engagement with the material. The immersive nature of the technology requires the use of more of the learner’s senses. This results in increased retention of key learnings. Immersive Education experiences can compliment or can even replace current teaching methodology. It provides a conduit to enable learners to explore career pathways, practice and experience parts of the curriculum in “real life” settings, and provide teachers with feedback on student participation. Recently we collaborated with MLA’s Good Meat Australia brand to develop and produce a virtual reality experience about Australian Lamb. We are now delivering this experience through a roadshow on the Think Digital Coach to Regional, Rural and Remote Australia, but also including metro areas and major agricultural shows. 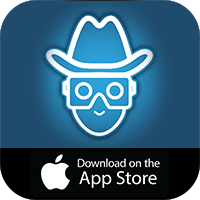 This enables a broad spectrum of people to engage with the paddock to plate story, but also delivers an exciting STEM activity into schools. Apply for us to visit your school! By adopting the latest in technologies, RiST will broaden their reach, attract the next generation of innovators and encourage them to take up careers in agriculture. It is expected that RIST will have enhanced student engagement, increased participation and greater learning outcomes. The RiST platform will be a 24/7 collaborative virtual reality learning portal, with a combination of live classroom experiences, pre-recorded content and immersive experiences. It will allow registered students to access, engage and undertake a range of training and development experiences and provide feedback to RiST to further enhance the way they engage with their students. Our apps are designed to immerse people into various agricultural settings, teach them about where their food comes from, consider agriculture as a career pathway, and to assist teachers to engage with their students in the classroom. 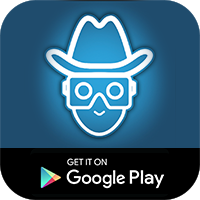 Our range of apps are available on the Apple, Android, Steam and Oculus app stores. 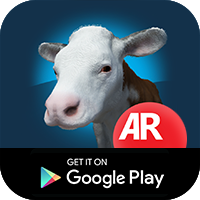 Augmented Reality Farming Experience. Bring the digital farm to your real world. 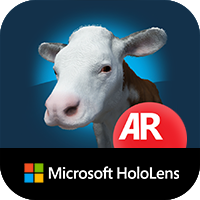 Compatible with both Android and iOS using the latest ARKit and ARCore technologies.